The hustling city of Bengaluru is known for it’s immense IT boom which has led to a healthy mix of cosmopolitan crowd. As a domino effect, the city has witnessed a striking increase of modern, nuclear families who believe in the concept of “All work and no play makes Jack a dull boy”. Weekends in Bengaluru are synonymous with young couples and friends flocking around the city on the lookout for new places and escapades to break away from the humdrum of daily life. On it’s 35th Anniversary, Sterling Developers has crafted an ideal list of 35 weekend getaways from Bengaluru (within a 300 km radius). 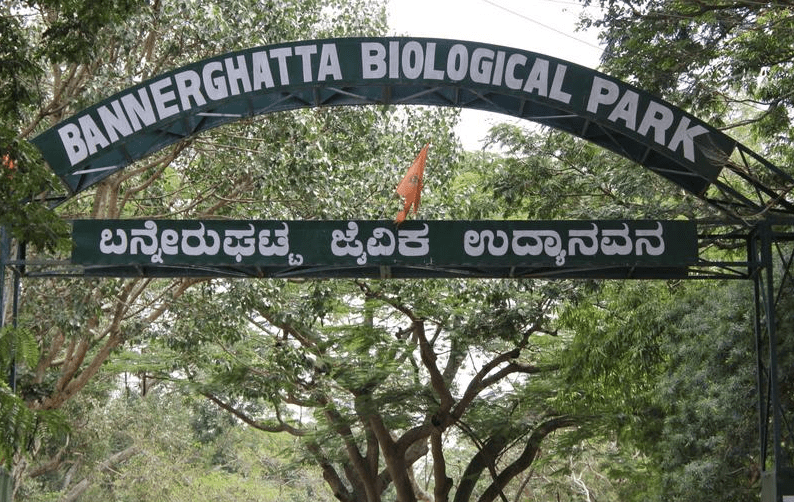 Bannerghatta National Park is a haven for nature lovers. Situated just 22 kms from Bengaluru, this nature park features a wide variety of flora and fauna, and is spread over a gigantic area of approximately 104 sq. kms. From a one-of-a kind butterfly park to an exquisite crocodile farm, this national park has a plethora of establishments within it that need to top your travel diary. Looking for a place to nurture the history buff in you? Then Janapada Loka is your true calling. This quintessential museum is a replica of an orthodox village that showcases the local culture of the region. Treat your kids to an educational weekend filled with festive costumes and ancient shadow puppets, coupled with the grandeur of a temple chariot. Situated just 53 kms from South Bengaluru, this culture and heritage spot is one of the top weekend getaways from Bengaluru within 100 kms. Nandi Hills is one of the popular tourist spots frequently visited from Bengaluru. The breathtaking view and misty winds give these hills an untouched charm like no other. These gorgeous hills are also the origin of the enchanting rivers of Arkavati, Palar, and Pennar, offering a perfect concoction of feeble water flowing through the scintillating valleys. Whether you are visiting for the pleasant climate or the spectacular photography you can indulge in, make sure you touchdown at the Nandi Hills for one of the perfect weekend getaways from Bengaluru. The soul-stirring Chunchi Falls are located just 100 kms from Bengaluru and are a breath-taking sight to sore eyes. They are ideal for a memorable picnic by the banks of River Arkavati, nestled amidst the lush forest and rocky terrains. A short 10-minute trek over an uneven, slippery and rocky terrain will lead you to a quintessential vantage point that offers a spectacular view of the Chunchi Falls, gushing in all its glory. This 400-year-old banyan tree should top your travel bucket list. 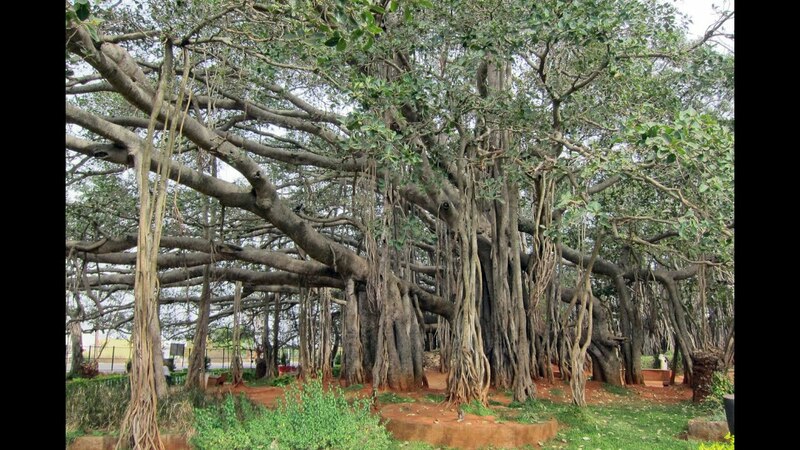 Located just 28 kms from Bengaluru, this single tree is spread over a whopping 3 acres of land making it the biggest tree of its kind. Due to the widely-spread roots, the tree now has taken the appearance of many different trees. The entire area is lush under the dense shade of the tree making it the top tourist spot for nature lovers and one of the top weekend getaways from Bengaluru within 100 kms. With a quick 58 km road trip from Bengaluru Junction City, you will reach the Ghati Subramanya Temple – a well-known pilgrim spot close to Doddaballapur. The USP of this temple lies in the exquisite idol of Sri Lakshmi Narasimha facing the west direction and Sri Subramanya facing the east direction. One can also spot the idol of Laxmi Narasimha in the same location through a mirror placed in a strategic way. 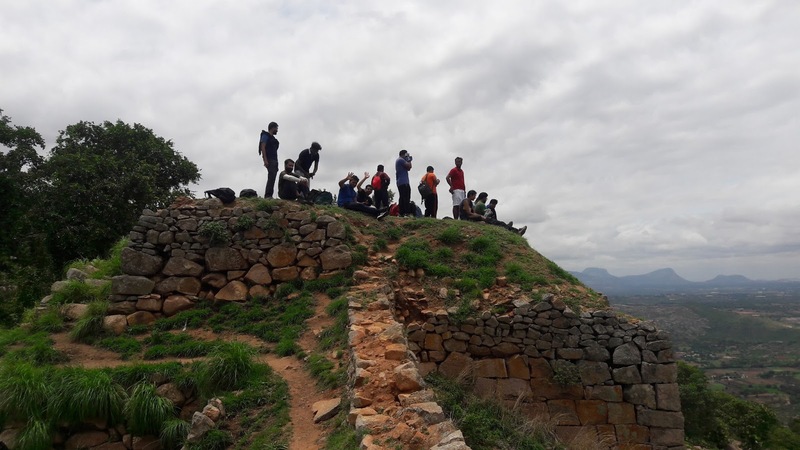 The gorgeous Makalidurga Hill Fort is one of the perfect weekend getaways from Bengaluru for couples if you crave adventure and the thrill of trekking on a chilly night. It offers you a completely different experience from the run-of-the-mill day treks with eerie vibes and complete darkness. When you reach your destination, you will feel a burst of adrenaline like never before! If you love traditional Indian dance forms, make sure you head out to Nrityagram dance village, situated just 30 kms from Bengaluru. This community houses a school for classical Indian dances which is commonly known as India’s first Gurukul. This residential school is also located near the quintessential Hesaraghatta Lake providing a breathtaking backdrop to the culture-rich site. Why not utilize your weekend to learn a little bit about gold mining? The Kolar Gold Mines situated a mere 100 kms from Bengaluru is known to be the second deepest mine in the world attracting all sorts of crowds for mining enthusiasts and history buffs to simply curious souls. The entire site is like a time capsule that takes you back to a period of gorgeous structures and a pleasant climate and is one of the top weekend getaways from Bengaluru. The Avani Heritage Village is loaded with the old-age charm of soul-stirring temples and ponds. It is a Hindu mythology heritage village which is considered to be one of the seven holy mokshashtras. This sacred place is also mentioned in the inscriptions of Bana that are dated back to 339 AD. Since this site is home to a plethora of other smaller temples as well, it is advisable to spend a whole day here, for a memorable time filled with fun and laughter. 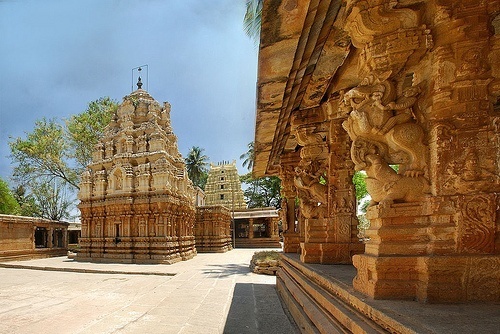 If you are a staunch devotee of Lord Shiva or a history buff who loves culture and heritage, the untouched site of the Bhoga Nandeeshwara Temple should top your travel diary. This temple is known to be one of the oldest temples in Karnataka and is famous for its quintessential Dravidian style of architecture. 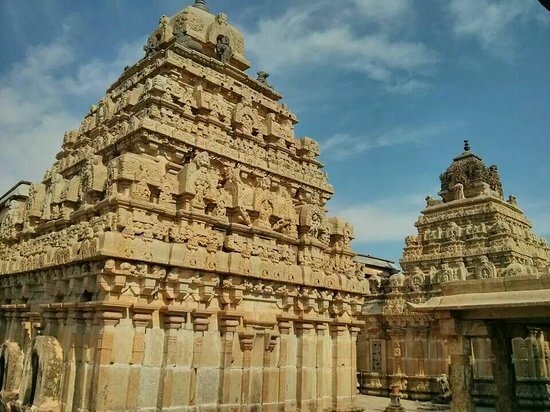 You can reach this cultural masterpiece with a mere 60 km drive from Bengaluru, to the foothills of Nandi, and take a trip down the historical lane. 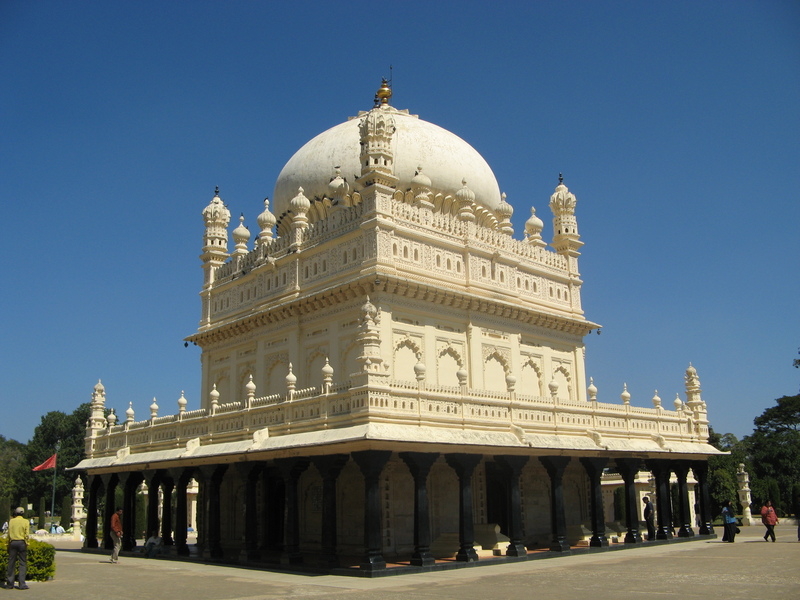 A weekend trip to the quaint city of Mysore is one of the first things that come to mind while residing in Bengaluru. From the royal chambers of the exquisite Mysore Palace to the wide variety of animals, reptiles and birds you can spot in the Mysore Zoo, there are a plethora of places to visit and, of course, memories to make. 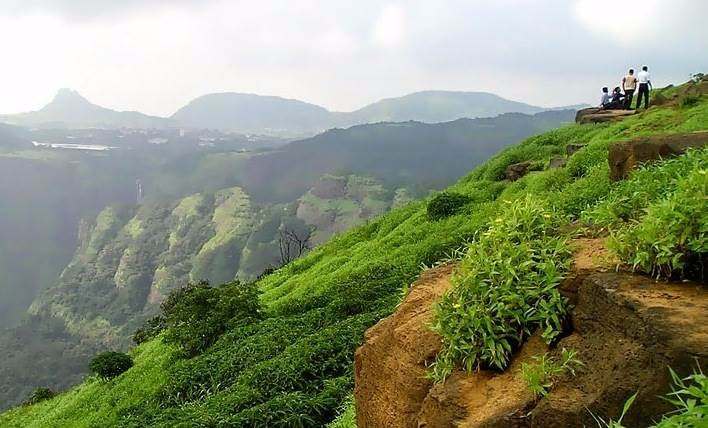 The Horsley Hills is one of the go-to destinations for the residents of Bengaluru looking for a quick escape from the hot and dry climate of the city. The lush greenery and cool winds tend to disconnect you from the humdrum of monotonous life. These hills are also named Yenugu Mallama Konda, after a lady named Mallama who used to live in the hills and was fed by elephants. The breath-taking hills of Yelagiri are synonymous with lush orchards, green valleys and enchanting rose gardens. This small hill station is known for its untouched greenery and panoramic views that are guaranteed to leave you speechless. You can reach Yelagiri with a quick 160 kms drive, making it one of the perfect weekend getaways from Bengaluru. The lush Brindavan Gardens are a tourist-magnet with a mind-boggling 2 million foot falls per year. Spread over a vast space of 60 acres, these gardens feature fruit orchards, breath-taking fountains, exotic trees, gorgeous pergolas and gazebos, making it the ideal location for a perfect family outing. However, the main attraction is the famous musical fountain which literally “dances” to the tunes in the background. Ranganathittu Bird Sanctuary is a heaven for bird and nature lovers. The park is spread over a vast area of 40 acres and is located just 128 kms from the city of Bengaluru. Apart from the wide variety of birds and exotic trees, herbs and shrubs you can spot here, the park is located right at the banks of River Cauvery, making it one of the most-visited weekend getaways from Bengaluru within 200 kms. Commonly referred to as the Pearl Valley, the Muthyala Maduvu Falls is a famous tourist attraction located just 40 kms from Bengaluru. 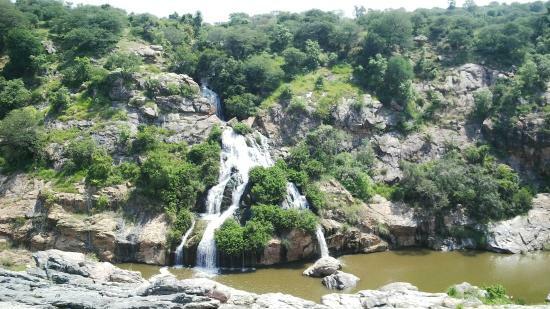 These waterfalls are known to create an illusion of a string of pearls as they cascade down the rocks and mountains of the valley, coining the term “Pearl Valley”. A short 54-km drive from Bengaluru will lead you to the quintessential Shivaganga range of hills. This mountain is shaped like a Shivalinga and located near a spring named Ganga, coining its name – Shivaganga. It is considered to be a sacred place and is home to a series of temples and other places of worship. Sangama and Mekedatu are two exotic spots located 93 kms from Bengaluru. 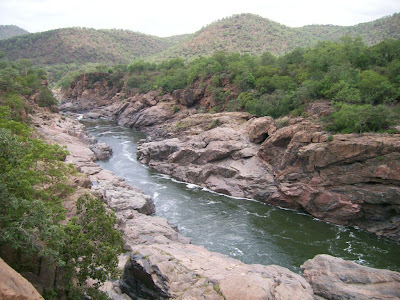 Sangama, as the name suggests, is the meeting spot of the rivers Arakavathi and Kaveri. 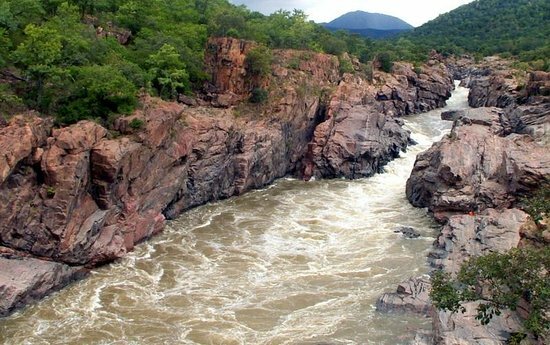 A further 3.5 kms down, you will reach Mekedatu, where you can witness the River Kaveri flowing down a deep and narrow gorge – a breathtaking sight to sore eyes! The pleasant climate and acres of lush coffee plantations of Chikmagalur will make you instantly fall in love with this quaint town. This place is famous for its scenic views and close proximity to a plethora of neighbouring hill stations. 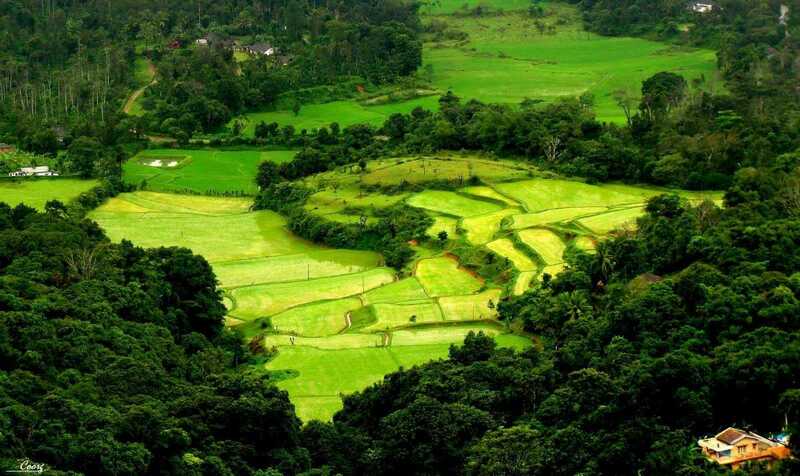 The gorgeous hill station of Coorg is also commonly referred to as the “Scotland of India”. Apart from the soul-stirring panoramic views it offers, coupled with misty breeze and lush greenery, this hill station is also rich in culture. The local crowd is known for their impeccable hospitality and love for martial arts, making it one of the top weekend getaways from Bengaluru. Situated 215 kms from Bengaluru, the spectacular hill station of Yercaud is a part of the Shevaroys Hills of the Eastern Ghats. It has an altitude of approximately 5000 feet above sea level and is known for its soul-stirring views – coining its name as the “Jewel of the South”. Indulge in a handful serving of coffee, bananas, jackfruit and oranges and get ready for the trip of a lifetime. 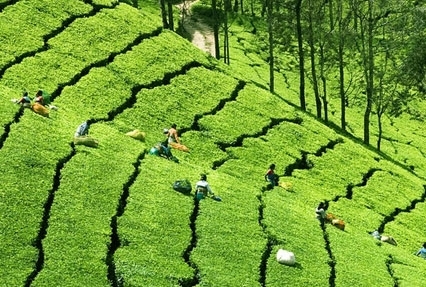 Situated in the iconic Nilgiri Hills, Ooty is just 277 kms from Bengaluru but takes you galaxies away from the humdrum of the bustling city life. This hill station is packed with gorgeous lakes and other water bodies that tend to take your breath away every single time. It is also home to many other landmarks like the Second World War Memorial Pillars, Nilgiri Mountain Railway and the Radio Telescope. Welcome the weekend with a quick trip to Wayanad – the land of quintessential waterfalls. Located 282 kms from Bengaluru, this idyllic hill station is located in the border of Karnataka and Tamil Nadu is the packed with untouched lakes, valleys, caves and, of course, a plethora of breath taking waterfalls. Take your family and friends on a 55 km road trip to the culture-rich city of Kanakapura for a weekend filled with absolute bliss. This city is known for its production of authentic silk and sturdy granite. It is also a tourist magnet due to the lush greenery and pleasant climate one can experience here. The Antara Gange is a sacred mountain situated about 70 kms from Bengaluru. It gets its holy title from the quaint Sri Kashi Vishweshwara Temple located at the bottom of the hills. The USP of this temple lies in its pond, which is filled with an unlimited flow of ground water. This water is considered to be holy, with the belief that it can cure all kinds of diseases. 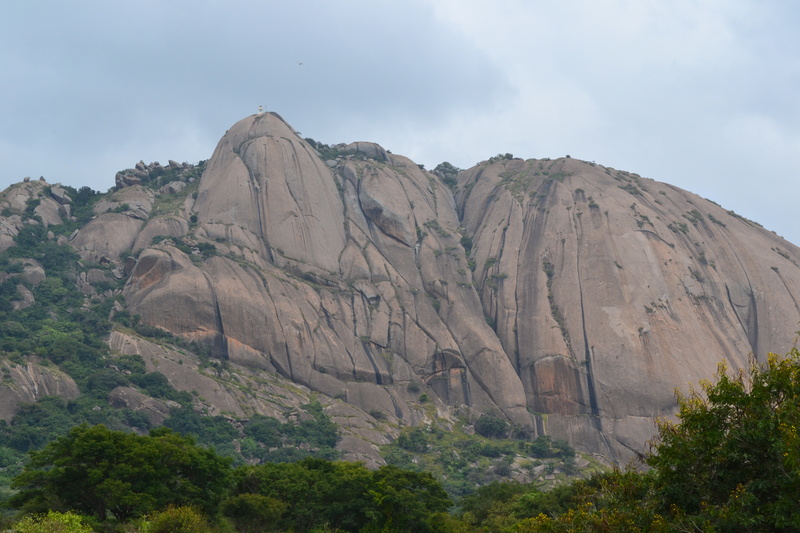 The magnificent Savandurga Hill is the largest single massive stone rock in Asia. It is situated just 60 kms from Bengaluru and is a must-visit for all nature lovers. The huge rock has a height of 1227 m above sea level and is packed with exquisite minerals like laterites and granites. It is situated near the Arkavathi River, making it one of the best weekend getaways from Bengaluru within 100 kms. If you are a nature buff who loves wildlife and lush greenery, then the idyllic Bheemeshwari Forest Camp will be the perfect weekend getaway for you and your family. 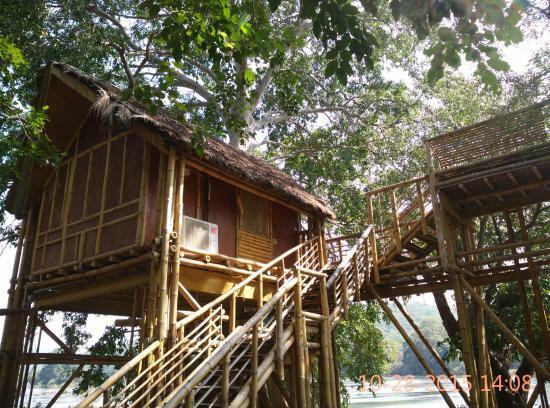 Located right at the banks of the quaint Kaveri River, this forest camp helps you disconnect from the world and rejuvenate your body, mind and soul. The Kuntibetta Night Trek is one of the perfect weekend getaways from Bengaluru for couples and adrenaline junkies looking for an escape from the monotonous city life. 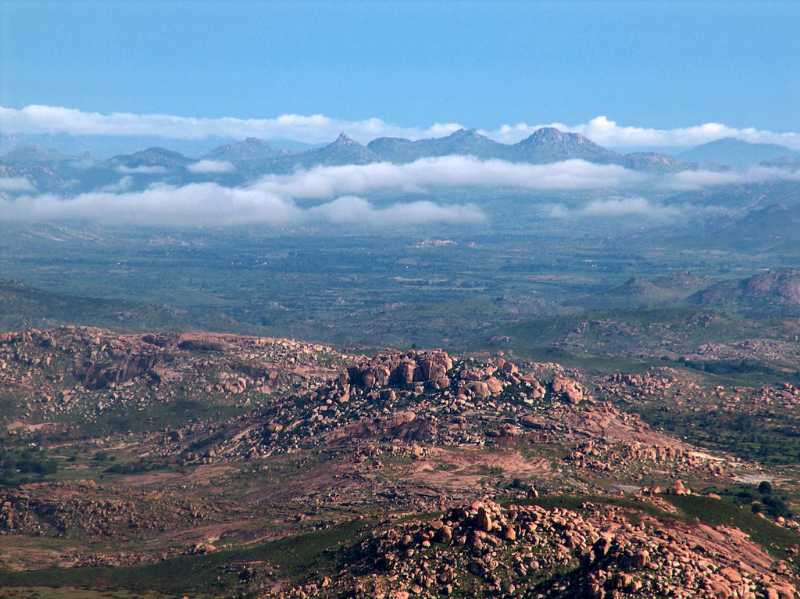 You will be trekking on the two rocky hills of Kuntibetta that are at a whopping height of 2,882 feet above sea level. The trek starts in the early morning hours and ends with a quintessential sunrise at the top of the peak, which is guaranteed to leave you spellbound. Situated around 183 kms, the Hassan district is packed with innumerable family-friendly spots and destinations that are guaranteed to make your weekend a memorable one. From the plethora of temples and churches to the breath-taking Hassan Hills, you can tailor-make your trip as per your preferences and have a ball of a time. The holistic town of Srirangapatna is the perfect getaway for a weekend packed with religious, cultural and historical lessons. The town is essentially an island, surrounded by River Kaveri on all sides. It is a tourist magnet with idyllic temples and places of worship that gives it a sacred edge. The culture-rich Lepakshi Village is situated just 120 kms from Bengaluru and is a haven for archaeology buffs. The location is packed with shrines of Lord Shiva, Vishnu and Veerabhadra, along with state-of-the-art mural paintings. The main attraction of the village is the massive Nandi Bull built with granite. 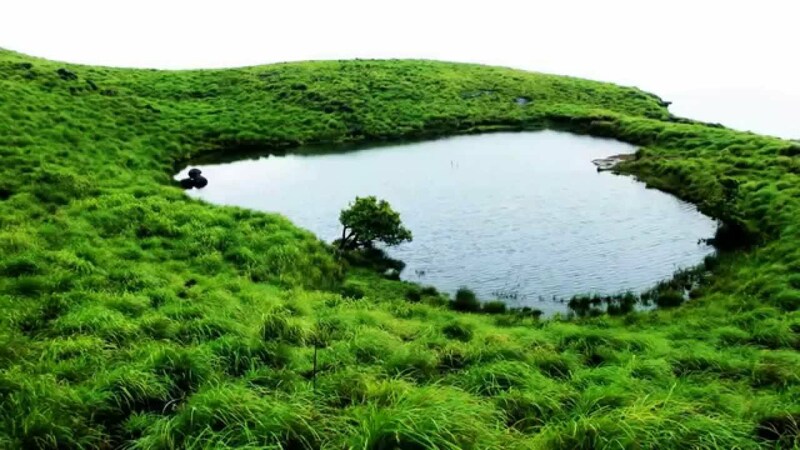 The Tadiandamol Peak is a part of the Western Ghats and is the third highest peak in the state of Karnataka. Standing tall at a height of 1,748 m, it is known for its lush greenery and dense forests. Due to this, this peak is perfect for a refreshing day hike with family and friends and is one of the frequented weekend getaways from Bengaluru. 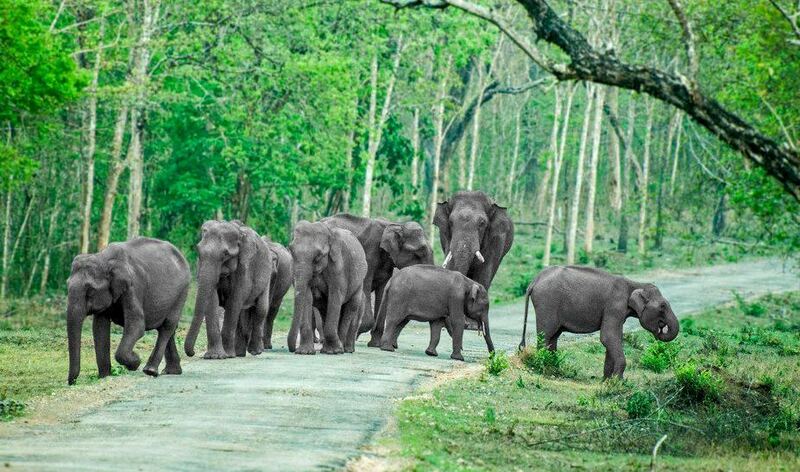 If you love wildlife, then the soul-stirring Nagarhole National Park should top your list of this to do during a weekend in Bengaluru. This park is one of the best tiger reserves in the country and is also home to other exotic animals. Apart from wildlife, you can also spot a variety of exquisite trees, breath-taking hills and stunning valleys. The idyllic Bandipur National Park is known to be the home of the most number of tigers in the country and is situated just 220 kms from Bengaluru. Just like the adjoining Nagarhole National Park, this park is also one of the most premium tiger reserves with a wide variety of fauna and flora. It has a huge elephant population and is an instant hit amongst children. With so many interesting places available within a 300 kms radius from Bengaluru, it is time you plan a weekend getaway from this magnificent city, for the holiday of a lifetime. You can also check out our blog on why Bengaluru is the best Indian city to live in. If you are planning to invest in the booming Bengaluru real estate, head out to Sterling Developers for stunning apartments and villas in the top hotspots like East Bengaluru and Hebbal, to name a few.